This is where I keep track of all the articles I have written for publications other than this blog, and also includes other media references to me or my business interests. I publish updates to this list in my newsletter, and you can also grab this handy RSS feed. Communicate Influence: Do you have what it takes to run a successful digital marketing agency? SystemHub: 50 Business Owners Share Their Best Business Growth Systems, Processes & Checklists. Forbes: How Will Trump’s ‘Endorsement’ Affect L.L. Bean? Jellymetrics: Content Marketing Trends + Predictions: What Do 25 Experts Say? e27: In our quest to use the Internet to self-diagnose, is Google the savior? TechinAsia: Google is the solution, not the problem, in the war against medical misinformation. TextStrike: An Ode To Jon Morrow, Josh Steimle, Neil Patel, Rand Fishkin, Brian Clark And Other Legends! 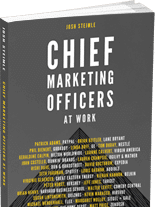 The Creative Group: Are You Thinking Like a CMO? Inc.: How Long Does It Take to See SEO Results? MWI Blog: How Much Should I Pay For A New Website? Irish Examiner: What are some of the best practices I should employ when using LinkedIn? Minnesota Public Radio: Should the Internet be regulated like other public utilities? BuzzFeed: Could Glitter Beards Be The New U.S. Presidential Campaign Trend? Forbes: When Should I Start SEO For My New Website? Education Post: Are Your Children Getting The 4 Fundamentals Of Education? CMO.com: How Can Marketers Leverage The Power Of Buyer Personas? BuzzFeed: What Would 2016 U.S. Presidential Candidates Look Like With Beards? Forbes: What Is Conversion Rate Optimization? Forbes: How Do I Know If My Website Is Mobile Friendly? Forbes: How Long Does SEO Take To Start Working? e27: Is Hong Kong’s corporate culture bad for startups? Forbes: Will China’s Policies Doom Entrepreneurship In Hong Kong? Forbes: What Is Content Marketing? Forbes: What Do Three Of China’s Richest People Have In Common? Forbes: When Is SEO The Wrong Choice? Forbes: Am I The Only Techie Against Net Neutrality? Entrepreneur: Want to Be More Productive? Move Across the World. Forbes: What Does An SEO Firm Do? Entrepreneur: Want to Avoid a Hiring Crisis? Follow These 4 Steps. WebProNews: Time To Start Letting Customers Pay You By Email? PC World: Free vs. paid: when should your small business shell out for a hosted service? Forbes: Are SEO Conferences Worth Attending? Forbes: Space Monkey: The Backup Solution You’ve Been Waiting For? Forbes: Should I Have A Facebook Page For Business Or Just Use My Personal Profile? Australian Anthill: Do you really have what it takes to be an entrepreneur? Forbes: Samsung Botches Jay-Z App Launch? Forbes: I’m A Business Owner — Should I Learn To Code? Forbes: Game of Thrones? Arrested Development? Ain’t No Entrepreneur Got Time For That. Forbes: When Should A Website Launch As Invite-Only? Fast Company: I’m From The Future. You Should Go To China. Business Insider: What Does The Future Hold For Mobile Marketing SEO? Mini Storage Messenger (print): The Small Operator’s Challenge: How Can I Compete Against The Big Guys?